“The aim of the Vasa cannon project is to promote international collaboration and stimulate interest in Europe’s maritime and industrial history. By engaging the public in the search, we hope more people will discover how exciting historical research can be,” said Lisa Månsson, Director of the Vasa Museum. “What happened to the cannons? Were they ever used or were they melted down and turned into new objects? Have any of the cannons been preserved anywhere in the world? If so, where are they and how did they get there? These are the questions we hope this project will help us to answer,” said Fred Hocker, Director of Research at the Vasa Museum. The project consists of three parts. The first starts in 2018 with an underwater survey of the bottom of Stockholm’s harbour to see whether any cannons remain on the seabed. In 2019, the second part will consist of archival research in Sweden, the UK, the Netherlands and Denmark to try to trace what happened to the cannons. The third part is a global citizen science project starting in 2020. “Volunteers from around the world will be working together with researchers to collect information about cannons. 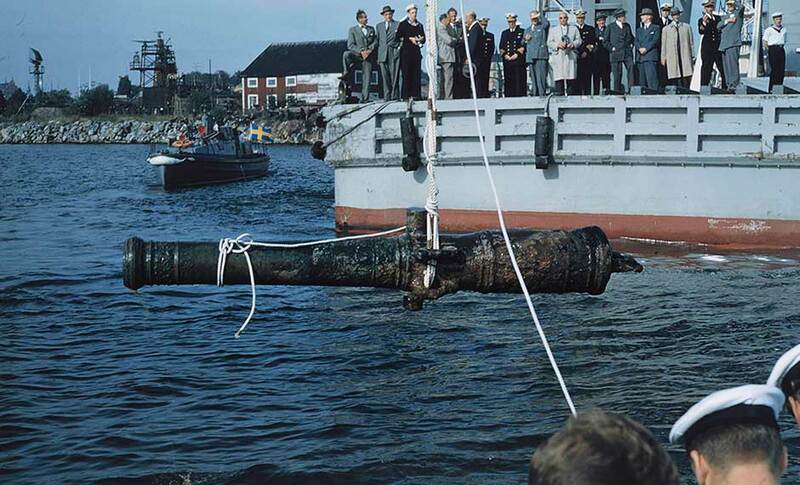 People will be encouraged to take photos of cannons that they come across in collections and exhibitions worldwide and upload them to a database, to discover whether they are the missing Vasa cannons,” said Fredrik Brounéus, a Researcher and Press Officer at VA. The project is led by The Friends of the Vasa Museum in conjunction with the Vasa Museum, Swedish National Maritime Museums and the British and Dutch embassies in Stockholm and the Swedish civil society organization VA (Public & Science). The Vasa is the world’s only preserved 17th century ship and the most visited maritime exhibit in the world.